I recently discovered my cousin has a blog. And it’s really, really good. In just a few months, she has attracted over 100 followers. Her posts are beautiful, intelligent and funny. They are also heartbreaking. You see, she lost her baby at 33 weeks this past July. Her blog is about her experiences as a grieving parent. Not surprisingly, her posts often make me cry. But they also make me laugh. And think. And remember. Reading her honest, no-holds-barred words makes me remember why I started writing in the first place. It wasn’t always for The Sisterhood. The Sisterhood is a great organization (check us out on http://www.tothemoonmom.com) of which I’m so proud and privileged to be a part, but it’s not an individual outlet where I can 100 percent be myself. There are some things that just don’t belong on web pages that represent a faith-based non-profit, especially one like ours that relies solely on volunteers that come from a wide variety of Christian denominations, political parties and backgrounds. When I first started writing, my goal was to help people like me. People who went to church but didn’t know God. People who wanted to puke when they heard about someone having a “relationship with Jesus Christ.” I wanted to tell them about God in a simpler, more meaningful way. The way it was explained to me when I finally started having what they call “spiritual awakenings.” Of course, I wouldn’t mention the specific name of the recovery group where I “woke up,” because we are supposed to remain anonymous, but it wouldn’t be too hard to figure it out. With my second ever blog post, I shared some of the details about my last few alcoholic drinks. All of my Facebook “friends” saw the automatically-publicized post. I somehow forgot that these people were not really my intended audience. When certain people reacted with sadness and dare-I-say embarrassment to my coming out of the closet as a you-know-what on such a public forum, I got confused. I didn’t purposely apply what I perceived as negative feedback to my writing, but re-reading my most recent posts has enlightened me that I have become a bit too safe. In an attempt not to offend or cause pain to those closest to me, my message has in some cases become watered down and hidden behind the very same “churchy” language that used to drive me crazy. Perhaps I should re-write my Sisterhood devotionals before re-posting them here. But, since I don’t really have a following here, and I’m not going to re-publish the modified devotionals to Facebook, what would be the point? Plus, while the recent devotionals may not be as raw as some of my previous stuff, that doesn’t mean they are bad. In fact, they have reached and touched many women. And my language has not just gotten more “churchy” out of fear of what others might think. It is also because I have truly become more comfortable discussing things like my “relationship with Jesus Christ.” And even though my original mission in writing wasn’t to help already-established and spiritually fit Christian women, that doesn’t mean they don’t also need to be encouraged. As I grow in my faith, there is no reason why I can’t write from various perspectives and with different audiences in mind. Perhaps I should have rules about where I post what. Overtly religious posts, say, with more than one Bible verse or reference to “Jesus,” would only get posted on The Sisterhood blog. Posts with cuss words or allusions to that organization we shall not name but which may or may not be the one in the movie When a Man Loves a Woman would only be posted here. Posts that just sort of hint at addiction, and those that talk about “God” without calling Him “Jesus,” could appear on both blogs. But then, what if I want to write a post that talks about my relationship with Jesus and mentions politics or another taboo topic? I started writing to be real and authentic. I know I’m not the only person who didn’t really find God in church. In Europe, they are turning cathedrals into skating parks, because nobody goes to church anymore. Our minister says we are heading in that direction – 3,500 people leave the church every day. I wanted to break through the frustrations that have come from churches that are focused more on making sure we intellectually understand every nuance of the Bible than caring for our hearts and souls and spirits. I wanted to encourage people to strive to find God in unique, personal ways, even if that meant using words like “meditation” and “yoga,” not always popular in Christian circles. It was only when I opened my heart and mind to choosing my own conception of God that I was able to connect with a higher power in an authentic way. Since then, God has given me a faith in Jesus that I never had before, but that took years, and it was His doing, not mine or anyone else’s. 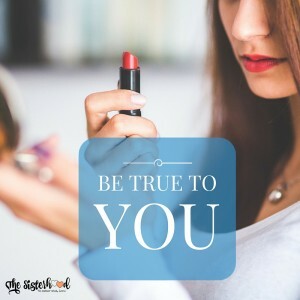 How can I convince people that I found God in everyday life when I gave myself permission to let go of the “one-size-fits-all” faith I learned in church if I don’t give myself permission to be myself on my own blog? How can I have integrity in saying that I have surrendered my life to God if I can’t let go of crafting everything I write to make sure there is no chance it could be misinterpreted? Isn’t that the exact pitfall so many before me have fallen into that has prevented them from reaching people just like me? Also, if I’m entirely honest, the real reason I write isn’t because of you. While I love hearing from people that something I wrote was what they needed to hear, the truth is that I write and share my experience, strength and hope primarily because it helps me. It reminds me of who I am and what I need. It helps me process what is going on in my life. In fact, through this very blog post, I’ve realized that the next evolutionary phase of my blog writing is (drum roll, please) … to share my posts on a public forum without having to ask anyone’s permission!! Believe it or not, this is the very first post I will have EVER published without someone else first telling me it was good or at least having the chance to tell me that it was bad. I always send my posts to my husband or a friend before I publish them. That may sound like a sound editing practice, but it really has nothing to do with checking spelling and grammar. My whole life I have struggled with insecurity and low self-confidence. It makes no sense really. I am smart and have always excelled at school. I know I have a lot of other great qualities too, and I don’t need someone to tell me how wonderful I am. I was raised in a loving, supportive family. My parents told me they loved me about a million times a day, never pressured me, and provided me with a more stable environment than anyone else I know. Yet, I have always had to fight back thoughts and feelings that I’m not good enough. That everything I do has to be affirmed by someone else before it is valid. That is why I have sent every post to someone else first before posting it on my blog. I really haven’t been checking to make sure the post is alright; I’ve been checking to make sure I’m alright. And I am alright. No matter what. This doesn’t mean I’m not going to continue to tailor and collaborate on my Sisterhood posts, according to our organization’s purpose and audience, and it doesn’t mean I’m not going to re-post those devotionals here. I want my personal blog to be a one-stop-shop for all the blog posts I have ever written. The stuff that’s heavy with Bible verses and flowery language represents who I am as much as any of my writing does. But from now on, on this, my personal blog, when I post something original, I vow to post it without checking with someone else first to make sure it’s okay. Also, a friend once told me not to “go to the hardware store for milk,” and that is what I’ve been doing by auto-posting everything to Facebook. I have been looking for the kind of feedback and validation that only comes from God and those who relate to my particular struggles (e.g. the milk) on Facebook (the hardware store). There are certainly those out there that I can help with my writing, but they are not one and the same as my Facebook circle. So, following my cousin’s lead, I have disconnected my blog from Facebook. If my peeps who don’t really relate to the way I share find this anyway, so be it, but be aware that I will no longer be taking everything everyone says quite so much to heart. I cannot worry about something I say being misinterpreted or personal details I share about my life causing embarrassment to others. I have to trust God to do the heavy lifting in other people’s hearts and lives, the way He does in mine, or I will be right back at square one. So, it’s back to basics. To sharing about what He’s done in my life. Honestly. No-holds-barred. As myself. Yours truly. The second secret to seeking God is to be true. Be true to who YOU are. Your path is unique, and it isn’t supposed to look like anybody else’s. Spend time in prayer, be still and then trust yourself. Somehow, I only heard the part in church where they talked about how God was separate from me. I heard about the Holy Spirit, but it never translated to understanding that God himself lived in me. When I started seeking God by listening for His voice from within, my eyes were open to a whole new and amazing world. It’s not always easy to find that divine inner voice. There can be a lot of clatter in our heads. I hear quite a few voices in mine! Some of them come from people who have had significant impacts on me. Then there’s the devil, who tries to influence me through inner voices that tell me lies, like that I’m not good enough, or I’m going to fail at whatever I try. And then there’s that voice that comes in the form of a gut feeling, that intuitive knowing in the deepest part of my soul. This is the voice I have come to believe is the Holy Spirit. It’s not always easy to be true to your inner voice. It doesn’t always tell you to do things you see those around you doing. It often goes against the grain as it forges a journey crafted just for you. Very rarely does it give you any direction past the very next step you should take. It can be scary to trust when all you can see is the next step. But you can still trust. You can just take the next step, without worrying or thinking about the one after that. You can do it even if you are afraid. Your fears will not kill you, I promise. And once you take the next step, the step after that will become easier. There are times I have trusted a gut instinct only to realize later that it was not the Holy Spirit guiding me after all. I think I am getting better at distinguishing the inner voice of the Holy Spirit and those other, more sinister voices, but there are still times we all get confused. What I’ve learned is that as long as you are reaching and striving for God, you can continue to trust yourself, even knowing this will sometimes lead to wrong decisions. We don’t have to be afraid of making mistakes, because it’s not our job to be perfect. We are meant to be an imperfect people who trust in a perfect God. Sometimes our mistakes even give us unique insights and awakenings. There have been many times I have actually been grateful for having to apologize for something. Saying I’m sorry is in itself a humbling experience, and I’ve come to realize that humility is a gift to be treasured. There have been times in my life when an amends opened a pathway of communication that was needed for a totally different reason. And then there were the glimpses from a darker time in my life – when I realized after the fact that the inner voice I’d been listening to was not the voice of God but a different voice altogether. When I was getting over an eating disorder, I felt very close to God. I went to church every Sunday. I read the Bible cover to cover. I prayed all the time and even recorded my prayers! But my gut instincts were warped by a distorted reality that I just couldn’t shake. Even though I was underweight, I still saw a fat girl in the mirror. When I tried to listen to my innermost voice, all I heard were lies. Even though I was trying desperately to connect with God, my perception of reality was so skewed that I couldn’t find Him. The voice of the Holy Spirit was drowned out by a quiet monster whispering that I really shouldn’t even eat at all. If you are in a similar situation, where you keep trying to find God, but you keep stumbling, just keep pressing on. Trust that He will eventually reveal Himself to you. Trust that this too shall pass. Trust that it’s okay if you make mistakes. And trust that somehow, someway, He will use your mistakes for good. Sometimes I think God placed within each of us some form of insecurity or neediness to pull us towards Him. When I am struggling with insecurity, it reminds me that I’ve forgotten about God and triggers me to turn back to Him, or to turn to Him on a deeper level. Below is a prayer that helps me to continue to be true to who God is calling me to be, even in times of doubt. I trust you with the outcomes of all my decisions. I trust that you give me the inspiration and intuition to make the best possible decisions I can make at the time I make them. I trust that you will reveal to me in your perfect timing any poor choices I have made, and that you will not allow them to be made in vain. I trust that you will give me what I need when and if it is necessary to rectify any mistakes I have made. Be my healer. Be my comfort. Be my peace. Be true to the inner voice of the Holy Spirit and then trust yourself. Even if you don’t fully understand how you will get past the next step, you can take it. Whatever it is, you don’t have to be paralyzed by fear. The fear will not last forever, and if your experiences are like mine, it will be replaced with an even stronger faith. The understanding you will have after you follow what your gut is telling you to do will not be the understanding you have now. All you have to do is take that next step. This post was originally published as a series of devotionals on The Sisterhood’s blog (http://www.tothemoonmom.com).